The Baltic Fleet warship Minsk is back. She was last seen on 17.04.2014 going south. The tensions between Turkey and Russia are still in an aggravated level after the shooting down of a Russian Su-24M fighter-bomber by a Turkish F-16C. As reported earlier, most of the tension remains on politic and economic front. Both sides are trying to keep their military reactions to a minimum. According to Montreux Convention any Black Sea nation must inform Turkey 8 days before the passage of its warship. 14 days has passed since the shooting of the Russian fighter plane. If Russia wanted to reinforce its fleet off the coast of Syria with warships from the Black Sea Fleet these ship would have been passing through the Turkish Straits in last 5 days. We have seen the southbound passage of 3 military landing ships (Korolev, Saratov, Tsezar Kunikov) and northbound passage of 4 military landing ships and 2 auxiliary cargo ships (Tsezar Kunikov, Yamal, Minsk, Korolev, Yauza, Dvinitsa-50) in last 15 days. 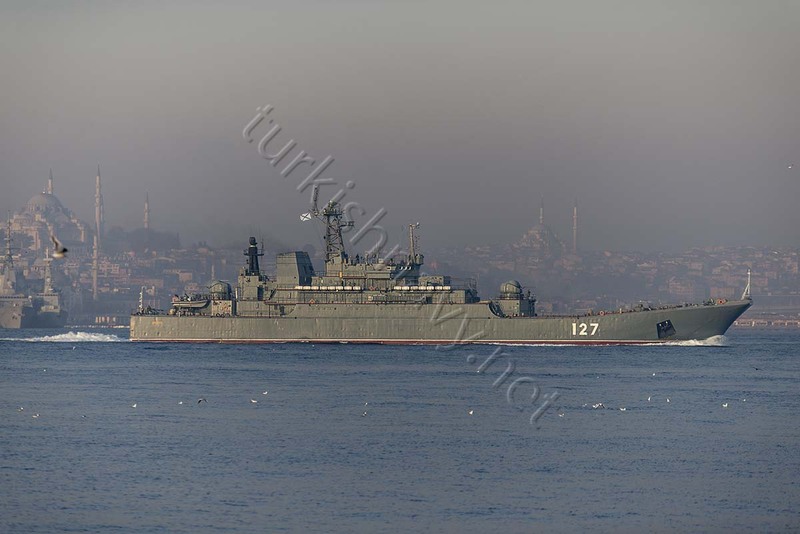 What we have not seen are the southbound passages of the destroyer or frigates from the Black Sea Fleet. This means either Russia is more interested in keeping their troops supplied in Syria or the conditions of Black Sea Fleet warships are not suitable for such deployment. Can you update your table of Foreign Warship On Bosphorus 2015 (https://turkishnavy.net/2015/12/04/foreign-warship-on-bosphorus-2015-part-49/) with ricent information? Very interesting if russian traffic became smaller? Or even may be now no russian warships path through Bosphorus for a week?